What Can You Do with MindMap Design Mode in Mockplus? Blog > Inside Mockplus >What Can You Do with MindMap Design Mode in Mockplus? ​In Mockpus, there’s a MindMap Design Mode for you to quickly reflect your design flow and project structure. In Mockpus, there’s a MindMap Design Mode for you to quickly reflect your design flow and project structure. 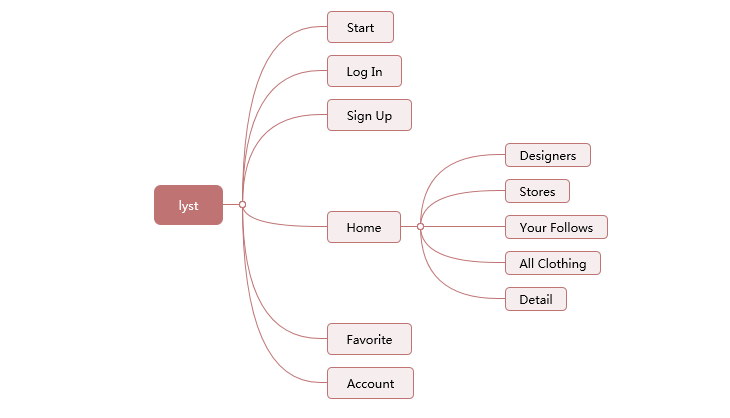 In MindMap Design Mode, you can quickly plan the pages you need in a project without being interrupted. When demonstrating a project to your clients, the features of the product will be better showed with the help of the Mind Map. When finished a project, one-click to export the Mind Map as an image for the later PRD documents. 1. Add, delete or rename pages (or folder) freely. 2. Drag and drop to move pages (or folder). The changes will be simultaneously showed in the project. 3. Switch the MindMap theme. Six colors for you to choose. 4. One-click to export a Mind Map image.